Make sure your helmet fits properly for maximum protection. The helmet should be level on your head, should touch all around, and be snug but not tight. It should not move more than about an inch in any direction, and should be impossible to pull off without releasing the buckle. Check inside for a CPSC sticker. All helmets currently being sold are required to have these. Choose white or a bright color for better visibility to motorists. 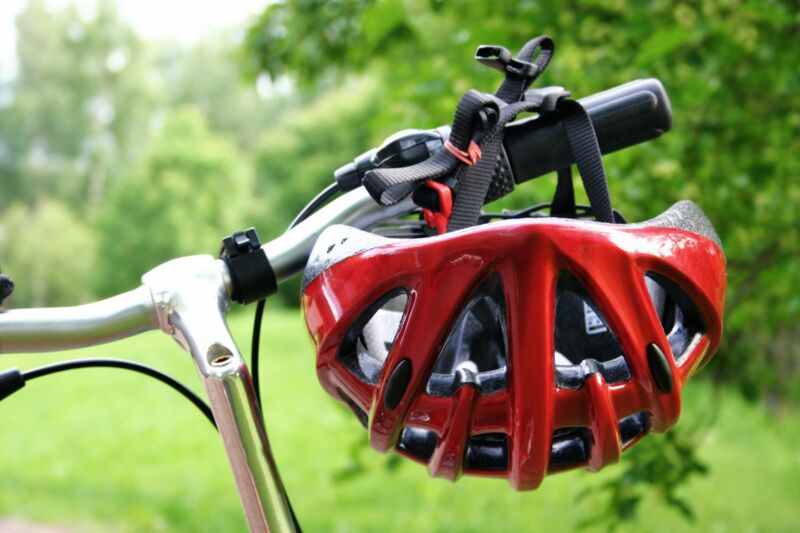 Avoid helmets with anything sticking out that might snag—rigid visors, for example. The shell should be rounded with adequate, but not excessive, vents—enough to keep your head cool, but not so many that the padded area is substantially reduced. Straps should not be too thin and should be easy to adjust.